Imagine what life would be like without rules of any kind and we were all allowed to do as we pleased, whenever we pleased. 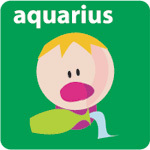 Perhaps, as an Aquarian, you dream of such a Utopian world! Where you might have felt bogged down with rules and enforced structure in your world recently, you could soon feel grateful for both. Pushing boundaries and breaking or bending rules can be helpful but this could be a time when you'll be glad you chose to 'toe the line.' How do you make the most of lifes opportunities? Get a Forecaster to find out.